Rech Chemical Co. Ltd is a Major manufacturer and Supplier of ferrous sulfate and we are certificated by ISO 9001:2008 and FAMI-QS and finished European REACH Preregistration. 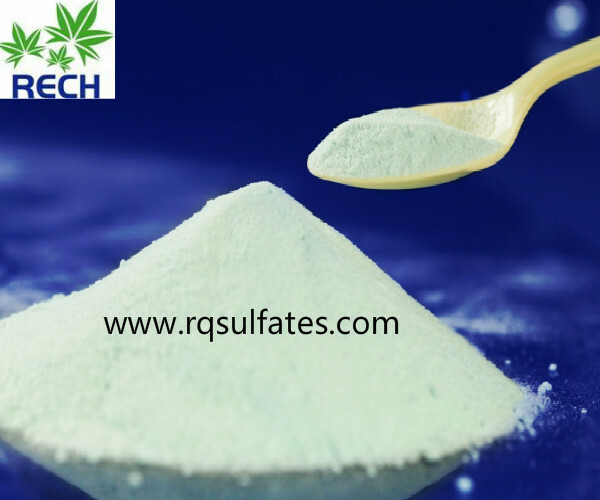 In agricultural, applying ferrous sulfate can prevent crops from Fe deficiency which will lead to reduction of output or no fruits. Symptoms of Fe deficiency include chlorosis, yellowish green diachyma etc. In industry field, it can be used as a substitute for aluminum sulfate in the water treatment. It causes impurities to clump together in masses, called flocculation, or used to remove phosphates in sewage treatment.